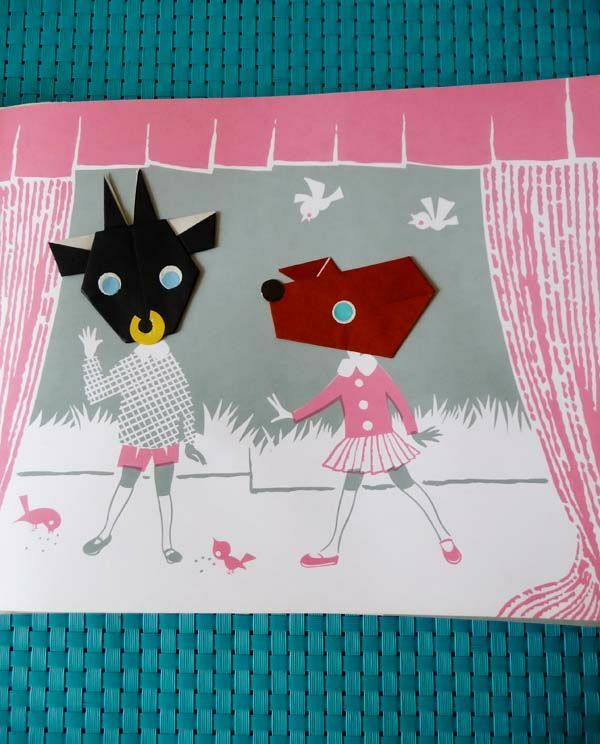 Each page features real dimensional folded origami characters, tipped in on the page! It’s like each page is a little work of art. 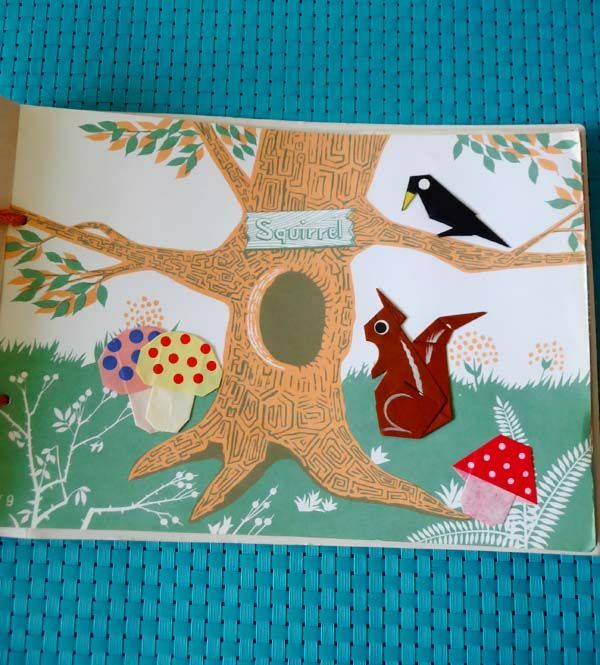 The book is SO beautiful and lovely. I couldn’t believe it. 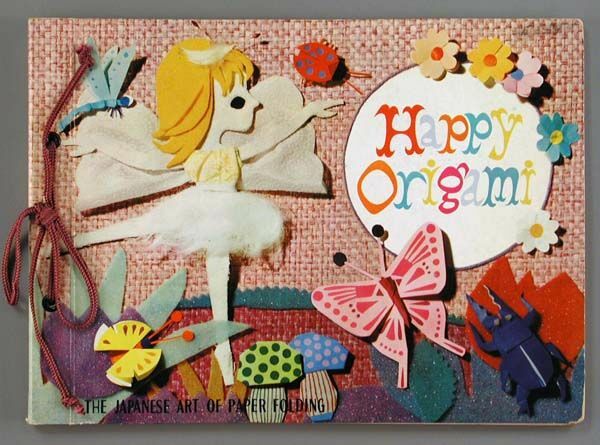 Happy Origami: The Japanese Art of Paper Folding, by Tatsuo Miyawaki, printed in Japan in 1960. Published by Biken-Sha of Hiroshima, Japan. 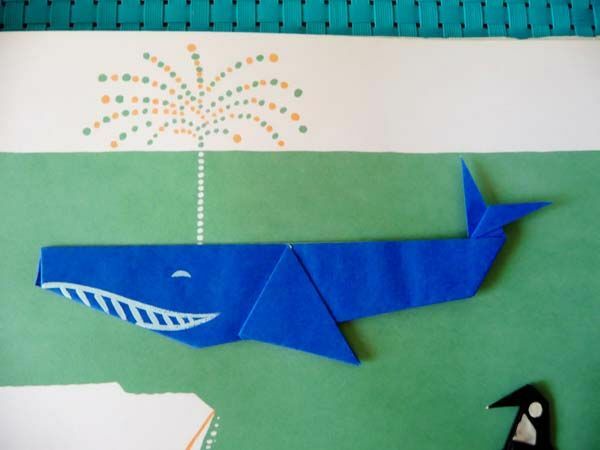 My edition is called the “Whale Book”. Wee! 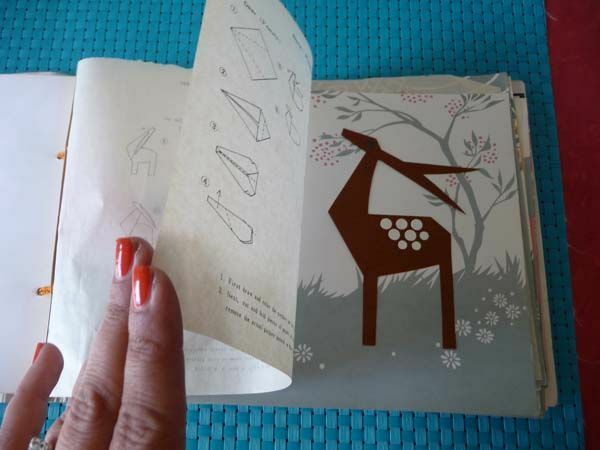 The back cover has a pocket where the colorful squares of folding paper were stored—alas, mine is missing the paper. 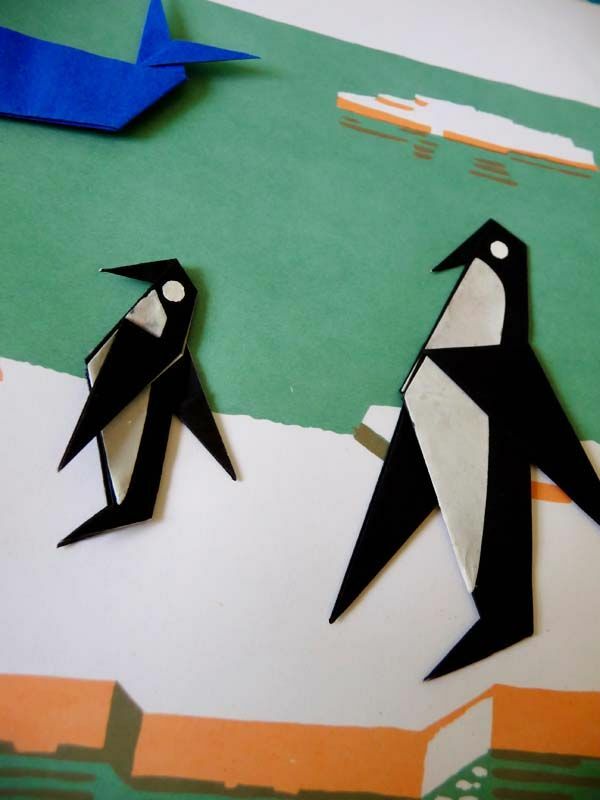 Have you ever tried origami?? Oh My Gosh!!! 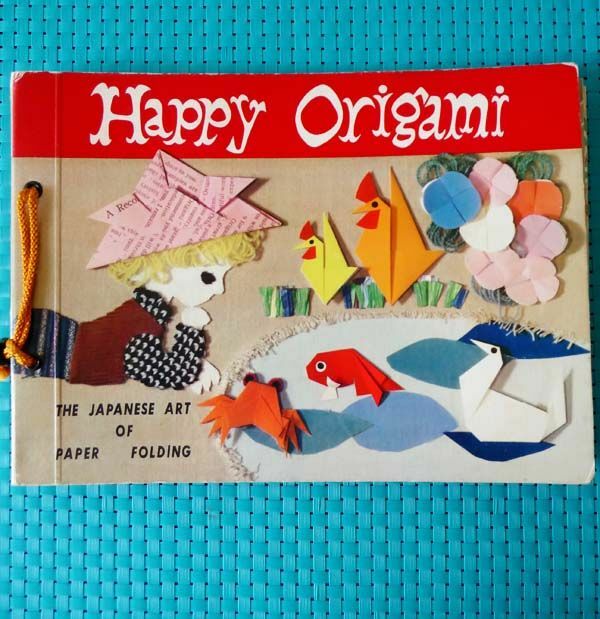 This is the cutest little origami book I’ve ever seen! 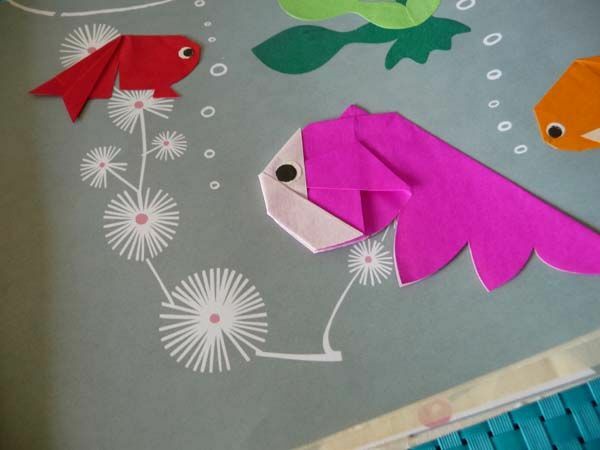 I was born in Japan and we learn how to make simple stuff when we are in pre-school. Now I work at a Japanese restaurant called “Origami” so it’s part of our job to make origami creatures to put on each table. Someday I get into it way too much and not want to stop! 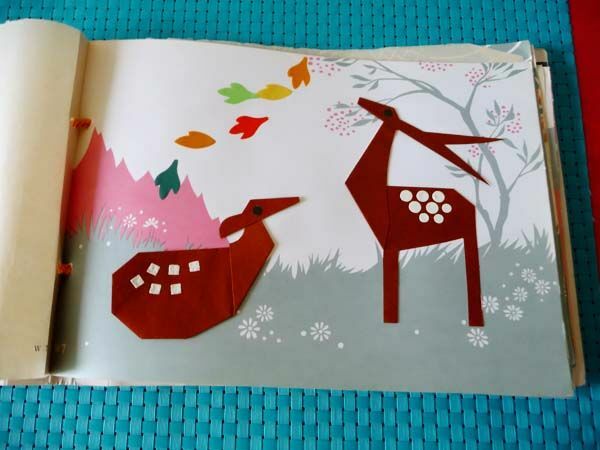 They are like knitting:) I must find a copy of this book, if you’d ever come across another one please let me know!! Thanks for sharing, Alix!! Tammy! I just saw this comment. Oh now I’m even happier you found a copy!!!! That is absolutely fabulous! 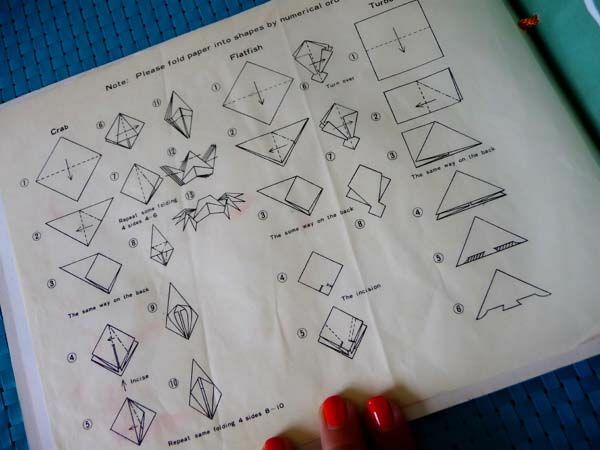 I recently found a 1967 copy of Mon Kiri Playtime, it’s a Japanese paper snowflake instructional book for children & it’s just brilliant! 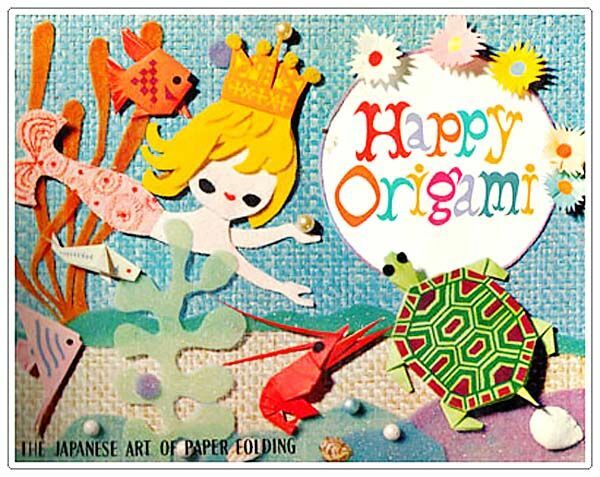 I’ll have to keep my eyes peeled for these origami books, the little polka dotted mushrooms on the cover are too much! Oh wow, that sounds wonderful! Did you post about it? You should! I’d love to see! What great texture! Love, love, love! Whoa. Alix. Just WHOA! This is having me run to Daiso and grab some papers this afternoon. I DIE! Seriously, where do you find these gems? And could we talk about that great font in the book cover. WANT! This book is so awesome! 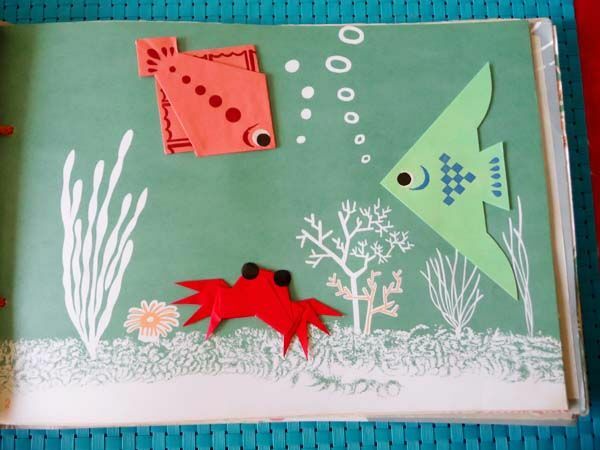 I won a box of vintage children’s books at an auction a few months ago and there were two copies of the Whale book inside! I sold one in my shop and just had to keep the other copy. I carefully untied the tie at the spine and took the pages out and hung several of them up. The one with the mushrooms is my fave. That one is hanging in my room.